MTS: Tell us a bit about your role at Cloudinary and how you got there? I have more than two decades of experience shaping and implementing corporate marketing strategies. I built marketing engines and teams from the ground up at my previous positions as VP of demand marketing before Cloudinary, — including 5 startups, 2 of which went IPO and the third had a successful acquisition. 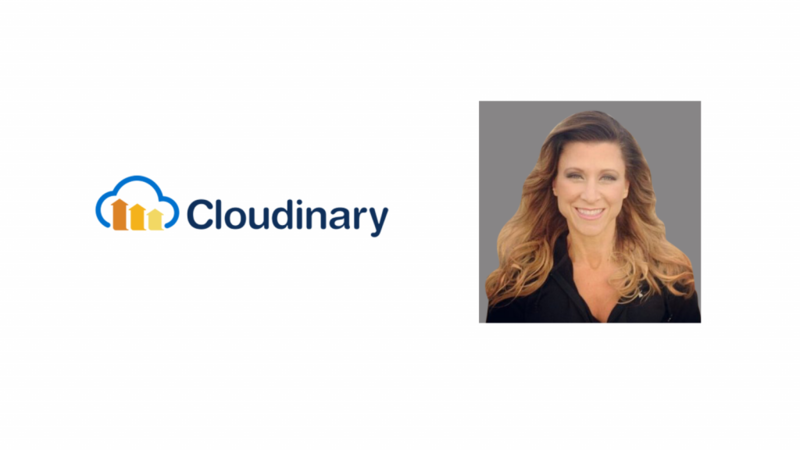 I came to Cloudinary because they had never done a full marketing buildout before, but they were successfully growing on 100% inbound leads. This was unheard of and a dream situation for me as a marketer. My job was to build a marketing team and engine that could continue this growth as the company morphed from startup into a thriving SMB. I would say I’ve employed a brick-by-brick strategy. I keep what is working and growing, while simultaneously finding new bricks to keep the growth on an upward trajectory. MTS: What are the features you like most about Cloudinary’s digital asset management (DAM) platform? Managing a growing media library requires having a central hub for different teams to add and access files, tag, categorize and organize them in folders and subfolders, collaborate across different functions, and get usage analytics. All comprehensive DAM solutions out there offer these features, to a degree. However, a DAM platform isn’t just for storage and asset consolidation. 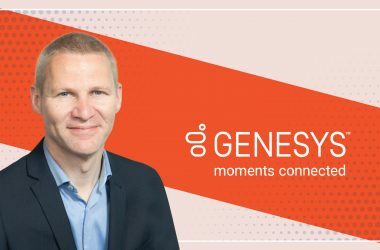 Since the main goal of using images and videos is to improve engagement, a DAM solution should be the foundation for orchestrating unique customer experiences across various channels. Cloudinary’s DAM solution enables this goal by facilitating optimal delivery of high-quality content, personalized for each and every user, irrespective of their device preference, bandwidth or location. MTS: How has the massive shift towards video affected DAM platforms? Videos are the heaviest form of media — they require the most bandwidth to transmit and they weigh more in bytes per page than other forms of media, like images. However, video is becoming an increasingly important part of websites because customers demand interactive, easy-to-consume content. DAM platforms must be able to handle video delivery with the same speed and efficiency as they do images. Enabling video delivery isn’t as easy as flipping a switch; it requires a lot of painstaking work. In addition to bandwidth and large storage capacity, other factors that make videos difficult for DAM platforms are: Adapting videos to for different layouts across a wide range of devices; Advanced manipulations, such overlays, resizing and cropping, creating thumbnails, effects, caption and subtitles; Automatically switching to higher or lower quality streams depending on the bandwidth. As a result, DAM platforms have had to evolve to keep up with the demands videos place on them. Video is helping shape the future of DAM platforms. MTS: Do you see video replacing traditional display ads in the next few years? We’re already seeing video display ads on some sites. I don’t know that video will totally replace traditional display ads, but I think that as we make video delivery more seamless, we will notice an uptick in video usage for advertising purposes. The ubiquity of video will depend on the publishers’ ability to host that content, much in the same way that DAM platforms will be tasked with ensuring speedy delivery of heavier assets. It’s difficult to pinpoint one technology trend as the most important. While it’s approaching buzzword status, I think Artificial Intelligence is poised to be the single most impactful technology trend for marketing in the next year or so. AI makes marketing technology more intelligent: AI helps with ad targeting, it helps Google better understand content on webpages for search rankings. AI lets companies develop things like chatbots and more effective website layouts. All of these features that AI enables, help drive engagement and personalize prospective customer experiences, which are key to any successful marketing campaign. MTS: What are the challenges while integrating with a digital asset management platform in 2017? I see two big challenges for integrating with DAM platforms. One, it’s difficult to move all of your existing data from whatever current storage tools you use to a DAM platform. Managing all the data across different systems while trying to integrate with marketing systems is tedious. The other difficulty that may prove to be a larger obstacle is personalization. Personalization is a growing demand of consumers, but not all DAM platforms are equipped to handle building individualized campaigns. As we watch DAM platforms evolve, their ability to personalize will be key. These aren’t startups in the traditional sense, but they are startups in the capacity they’re fairly new and smaller projects for larger companies. Products like Google’s Cloud Vision API is using AI to do image recognition and auto-tagging. The idea is that the product’s AI will get smarter with every photo upload, taking a lot of the guesswork and tedium away from DAM processes. I’m curious to see how this product — and others like them — develop. In 2016, 90 percent of Cloudinary’s annual revenue was generated by leads from our marketing programs. This includes 100% of the leads Cloudinary obtains — a 171% year-over-year increase from before my arrival and a 270% increase in mobile visitor traffic. I’m proud of these results and the campaigns that drove the increase. However, one stood campaign stood out from the rest, content syndication. We knew our blog was full of great information — Developers who read it responded well, and it remains a major touch point in our conversion funnel. We decided to use content syndication to generate ads to drive new prospects to our blog, including those who had never heard of Cloudinary. We used Google Analytics to track traffic back to the blog. Today, syndication drives 20% of our website traffic while maintaining a strong conversion rate among free users. Embrace it. This is the reason I keep tabs on AI-powered solutions. Data is the key to building and sustaining a successful marketing engine. Finding new solutions that use AI to dissect data in new ways, that offer more, useful insights will be fundamental to the success of future marketers. MTS: What apps/software/tools do you love using for your daily life? Slack. As a developer founded and focused company, we all use Slack to keep in touch with offices and teams. I balance a lot of tasks and projects while trying to also ensure my team completes their tasks on time. For me, a list to manage all of this just won’t do. I need something to pop up and remind me of upcoming due dates. I found that adding tasks to my calendar is very helpful. The calendar will pop up and remind me when I need to have something done, or when I should be expecting something in my inbox. It is an app I always have open, so I don’t need yet another app just for task management. I keep up to date by reading a variety of blogs on marketing related topics, like MarTech. I can think about the big picture – where we want to go – and also define how we are going to get there. Execution is my strength. MTS: Thank you Nicole! That was fun and hope to see you back on MarTech Series soon. 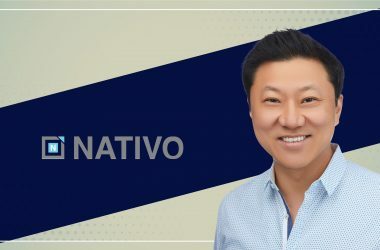 More than 12 years of experience shaping and implementing corporate marketing strategies including building product roadmaps, developing and launching new and innovative products, creating product messaging and defining pricing strategies. Experience includes all aspects of market research including identifying market trends and opportunities and developing market and product specifications. More than 10 years of experience building and managing global corporate communications plans and strategies. Experience includes developing corporate brands and positioning, demand generation, managing public and media relations activities, developing social media strategies, managing investor relations, overseeing crisis communications, managing internal communications and overseeing event management. Specialties: Marketing, Lead Generation, Communications, Public Relations, Social Media, Advertising, Brand Management, Strategic Planning, Corporate Messaging, Web Development, Media Relations, Product Management, Competitive Analysis, Product Development, Market Research, Investor Relations, Crisis Communications. Cloudinary, is a SaaS that streamlines a website’s entire image management pipeline. 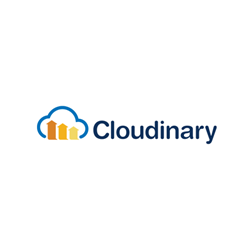 Cloudinary strives to be the standard for online images acquisition, manipulation and delivery. Using Cloudinary you can easily move all your website’s images and other assets to the cloud. Automatically perform smart image resizing, cropping, merging, overlay, watermark, apply effects, rotations and perform format conversions. All this without installing any complex software. Integrate Facebook, Twitter, Google+ and Gravatar profile image extraction in a snap, fetch images from any online resource in any dimension and style to match your website’s graphics requirements, and much more. Simply put, if you have images in your web or mobile app, let Cloudinary manage them for you. Cloudinary offers comprehensive APIs and administration capabilities and is easy to integrate with any web application. To simplify integration further we also have client libraries for Ruby on Rails, Python/Django, PHP, .NET, Node.js and more. In addition, alternative integration methods allow non-developers, bloggers and website administrators to enjoy Cloudinary with nearly zero code changes. Cloudinary offers several paid plans in addition to a simple to setup, fully-featured free plan with plenty of room to grow.